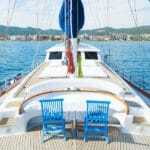 ﻿Blue Voyage Greek Islands - What is a Gulet Blue Voyage? 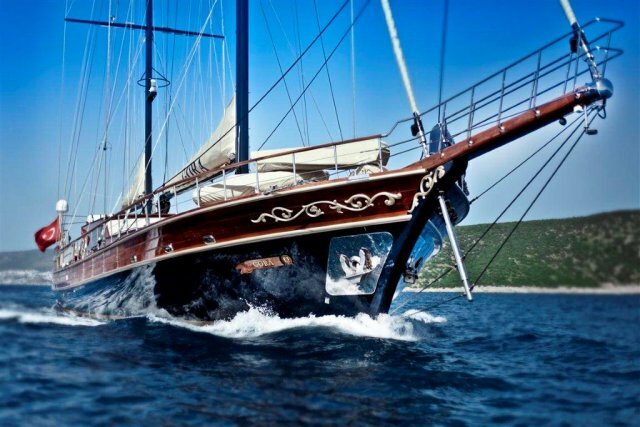 What is a Gulet Blue Voyage? A magnificent holiday awaits those who adore being at sea. 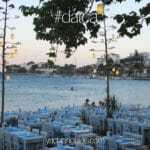 The decades old famous Blue Voyage known around the globe is the dream that many have made real. It starts with the desire, which later turns to planning a reality and then off they go cruising into the Mediterranean sunset… a different one each day! The vessels are called gulets. These are special handcrafted wooden sailboats. 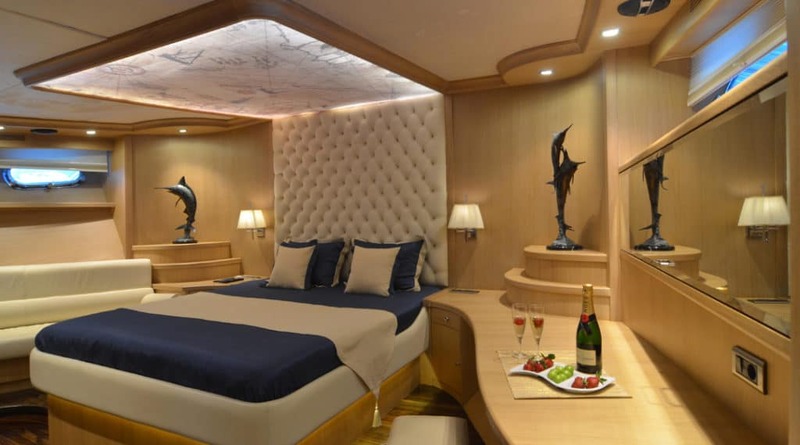 They become a central part of your cruise as your accommodation at sea. Gulets are unique from each other. They come in boutique sizes starting at 15 meters and are built as long as 55 or more meters. 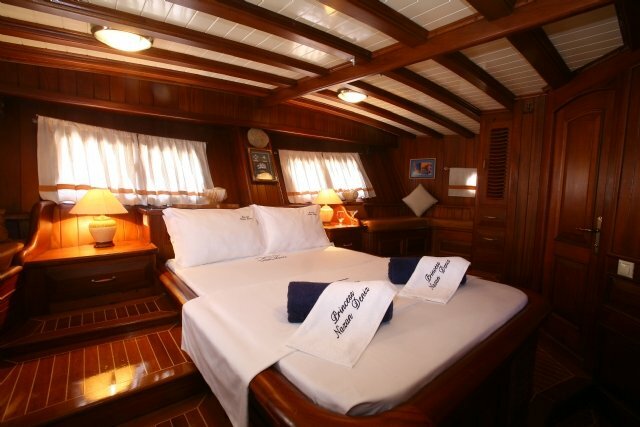 The cabins are usually equipped with air conditioning as it is needed during the hot Mediterranean summers. Guests will also find that most guests will have en suites in the cabins as well as audio/visual entertainment on the more premium class gulets. 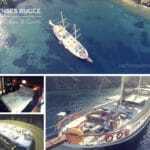 There are many types of gulets for these splendid blue voyage holidays. 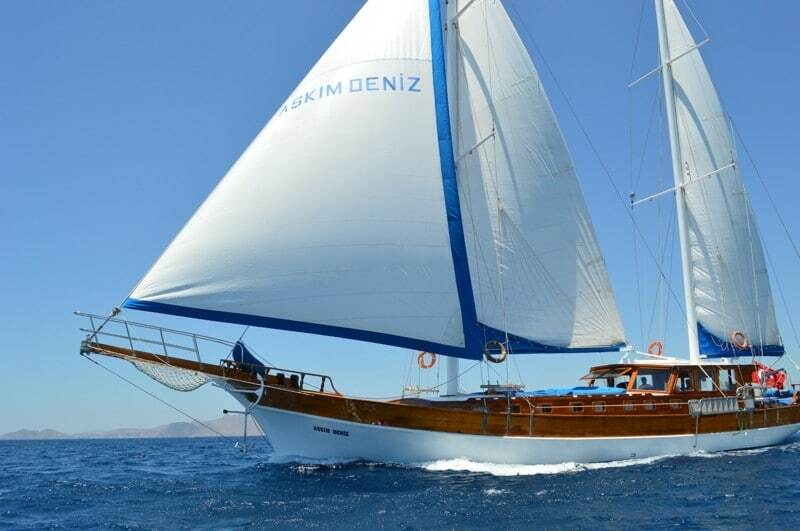 Such as its name, a Blue voyage will present to you the many shades of blues to the refreshing vacation color of turquoise which Turkey is so famous for. So clear is the sea, where you can at times see the bottom and watch interesting sea creatures dancing about in the warm waters. Expect the ultimate in relaxation – ever so healthy for your mind and body. A completely rejuvenating experience. 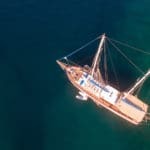 For detailed information on a unique and private Blue Voyage for your gulet holidays, contact us and tell us about your plans. And perhaps your budget, group size and let us put together some information to help you starting planning your unique vacation.